Villa Louise is an exceptional example of the Italianate Villa style. Part of the Picturesque Movement in nineteenth century North American design, the Italianate Villa style featured low-pitched roofs, wide eaves with decorative brackets, and wide verandahs. Villa Louise, with its striking appearance, generous size and extensive grounds, was a landmark in early Brandon. Once common in Manitoba, examples of this style are now extremely rare. The residence is also the earliest known Brandon commission of Walter H. Shillinglaw (1864–1957), who enjoyed a distinguished career as an architect, military officer, and City Engineer in Brandon. 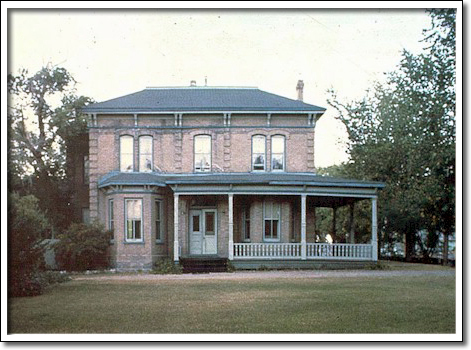 The house was built in 1888 for pioneer physician Alexander Fleming (1841–97). It was subsequently owned by Isaac Robinson, founder of the Empire Brewing Company of Brandon.